Loyalty fatigue forces POS software points-based loyalty programs to change | A blog about smart POS software for independent small businesses. Shoppers are tired of points-based loyalty programs where the value of points is challenging to understand and where rewards are difficult to access. Take the retail group where shoppers have to sign up for the program and spend $500 in-store to accuse 500 points that are then converted to a limited life voucher sent to the customer. This type of program does not make sense when you look at the hopes the customer has to jump through. Compare it to a competitor offer where a shopper can have a $$ award on their receipt from the first purchase. No sign up. No delay in accessing benefits. The Tower Systems POS software handles both the scenarios outlined above. Our preference as retail experts is for the latter. We say this based on years of working with independent small business retailers. While the points approach is where loyalty started, it shifted a few years ago and now more retailers prefer the $$ benefit on retail-ts because their customers react so well to it. The example above where the customer has multiple steps to reach. These steps act as barriers. Shoppers can forget about the goal as they work through the barriers. Don’t believe us, ask shoppers. Present the two scenarios. Ask which they prefer. We have done this. 5:1 they prefer the $$ off showing on the receipt without sign up. They love it in fact. The feedback we have from customers is the Tower Systems POS software loyalty offerings are best-practice for retailers and for shoppers, they genuinely add value of retail businesses, costing a fraction of the gross profit achieved from incremental business driven by the program. Today we are hosting a user meeting for users of our POS software in Wellington New Zealand. yesterday we were in Auckland. These face to face sessions are important for us and for our customers as we learn from each other and our businesses benefit as a result. We are grateful to our customers for their support. Weekly live training and discussion workshops. Free one on one training. All of this is with real people. Live. Where retailers know the names of people they are dealing with. We are enjoying our time in NZ this week. More and more of the small business retailers using our POS software are using the tags facilities in the software for more efficient management of inventory data managed by the software. Add to an an order. Tags are a terrific tool in your software for managing stock. We encourage you to use them. We can help. We know competition is tough for independent toy retailers. You know your customer service is better yet you can’t match the national retailers when it comes to marketing. Our toy shop software offers touch-points through which you can pitch your difference and loyalty tools that enable you to offer appreciated value. OUR SOFTWARE IS MADE FOR YOU. Toy shops have unique needs. Your business is personal. You need a software company committed to serving you and committed to helping you more efficiently transact with your suppliers. From the sales counter to the back room, Our Toy Shop Software is fit for purpose. It is not everyday POS software. No, this is Toy Shop Software. WE MAKE IT EASY TO GET UP AND RUNNING. We come to your business, install the software and train you and your staff, face to face, jargon free. We give you a personal support contact as you settle in. After the installation is done you can call us for help and a real person answers, with their name. Our help desk is in our Hawthorn office. You are welcome to visit at any time. You can watch any of our 130+ training videos at any time. Plus, you can access our knowledge bade from anywhere – this is like a live and searchable manual. Thanks to advice from our customers our software continues to evolve, meeting changing needs, keeping our customers up to date. If you are confronted by employee theft, customer theft or falling business performance, we are there for you. We have experience with police prosecutors, helping to convict employees who have stolen. We have helped turn around businesses confronted by trading challenges. 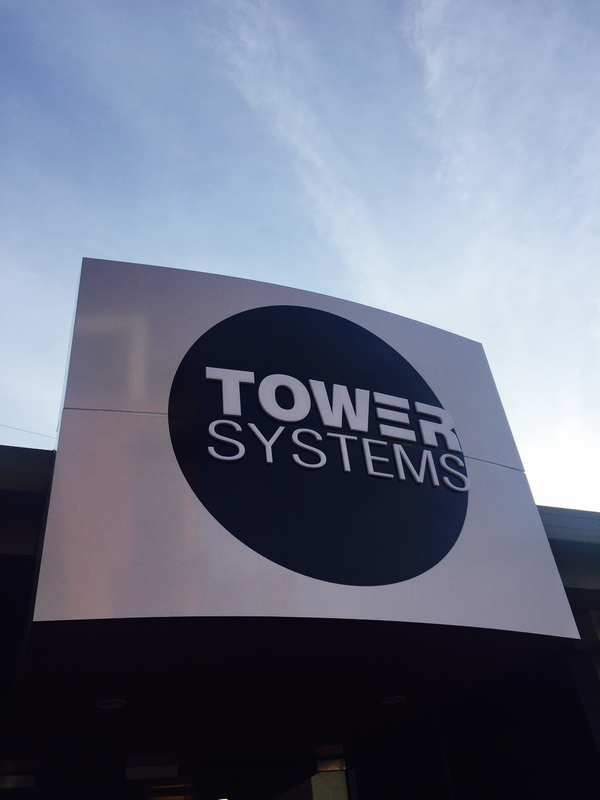 Tower Systems is not your usual POS software company. The best evidence of that is that I am writing to you. I am the founder of the company. My contact details are on this letter. I personally stand behind what we sell. HOW THE SOFTWARE CAN HELP. Shopper loyalty – $$$ off the next purchase based on rules you set. Importing electronic invoices and stock files from suppliers. Reordering based on accurate data – reducing the cost of dead stock. BOGO: handling Buy One get One Free offers. MultiBuy – like a coffee card, free product over time. Xero accounting interface – cut your bookkeeping time and costs. Magento and Shopify website interfaces – connect to your website. EFTPOS integration – save on a phone line costs and cut mistakes. Easy and accurate stock taking. Professional receipts with your logo. Age checking for items with a minimum age requirement. There are many ways you can use this software to help you personalise the shopping experience, ways that make comparing your business to mass market toy retailers difficult. We help you shine a light on your point of difference. Small and independent retail businesses can be a challenge to sell even in a strong economy. This is because they are often not understood and not presented well for sale. One way to make a business more appealing is to be more open about it being for sale. Put a sign in the window. Yes, this will tell your employees, customers and suppliers that you want to sell up and move on. Own that decision, embrace it. Stop worrying what people will think. Explain your good reason for putting the business on the market and then run the business with more energy and focus than ever before. Your actions will demonstrate that people need not worry. The sign in the window works on a couple of levels. First, small businesses are more likely to appeal to people who live locally, people who may not be in the market to buy a business until they see your sign. I know of one small business that had not sold in over a year and then sold in a week following a sign being put in the window. It could be that an employee is interested in buying the business. Second, the sign is your reminder that the business has to be sale ready every day. Shoppers walking through your door are coming to an open house to see the business for sale. That’s how you should approach it – working your heart out presenting the business perfectly and appealingly every day. Businesses can take time to sell. Sometimes it takes the right people seeing the ad at the right time for you to find a buyer. The stars aligning aside, the most important barrier to selling any business is that it does not look or feel appealing, manageable and or capable of delivering the level of return a prospective purchaser would want. This is why you have to work hard and relentlessly to make your business look valuable, appealing and enjoyable. Too often small business retailers think that the economy, retail channel issues or other external factors are slowing or halting the sale of the business. Even if this is the case, reject these thoughts, bring it back to you and your actions. If you want to sell your business then run it as if you want to sell it – every day. We have published a video a day this week on this blog to showcase our approach to developing user training as well as marketing materials in-house here at Tower Systems. The videos showcase how we share information to help our small business POS software users to learn more about our software in a more appealing way that plain reading and a more repeatable way than only one on one training. Videos are used by us a part of a comprehensive arsenal of training and user support materials. We do not rely on one single medium. But videos are highlighted here as they are a real Tower AdvantageTM. They are a reason to expect a better experience through us. Customers tell us they love the videos. here is one comment from this week. I love your training videos and that I can ensure my team receive consistent advice on how to use the software. Thank you! With close to 150 videos available to our customers, we have terrific resources from which our customers and their employees can benefit. We are busy shortlisting candidates for a new help desk role based in our head office. With more than sixty candidates its is proving to be tough to trim the list to a more manageable mix for interview. Our hiring process is structured like our help desk management – small business customer service focussed. More small business retailers are switching to Xero for their business accounting solution and choosing the Tower Systems Xero integrated POS software for the retail front end. Delivering a seamlessly integrated solution offering a whole of business approach backed by two respected IT companies with excellent customer service as the core focus. We use Xero here at Tower Systems and there is no doubt that it offers an excellent accounting solution. Our experience with the integration helps us help our customers with proper setup as we can speak from experience. Have faster access to business data. Have more time for parts of their business where they can make a more measurable difference. While we integrate with MYOB and Quick Books, it is the elegant Xero integration we love because of the product itself. We are proud to be showing it off in a couple of weeks at the Xerocon conference in Brisbane. We have a competition bagging Xero but we think that is because they did not get approved for integration. We are thrilled to be bringing our POS software user meetings to New Zealand next week – Monday and Tuesday. First in Auckland and then in Wellington, we will meet with our customers in a structured and open forum, outlining the latest software and encouraging suggestions for further enhancements. Christchurch will be covered in a separate trip. We have shared details with our customers and look forward to seeing them next week. These latest meetings are an extension of our Australian national user meeting tour where the leadership of the company meets face to face with customers, answering questions, sharing insights and talking about the future of the software. More newsagents are switching to the Tower Systems newsagency management software. We can connect you with reference sites who will speak to the valuable difference we offer. The new social media channel we opened over a week ago is receiving terrific traction and providing another customer facing / customer service opportunity. We are proud to offer this initiative and thrilled with Tower customer engagement. Using social media in this way and giving our customers control over the conversation is empowering for them and valuable for us. We are excited to see where this goes. We think too many software companies hide behind a corporate names rather than real people. We think they do everything possible to not talk with customers. Here are Tower Systems we are the opposite. We like direct contact and appreciate the engagement from our customers. An extension to our customer contact, this new channel will help reinforce the Tower Systems difference. The final steps of our rebranding project were completed last week with the new brand image released to our national development and support centre facility in Hawthorn, Victoria. The fresh brand image is in line with the evolution of our software. We sought out a brand image that reflected the strength, currency and value of the software we sell. We are thrilled with the new image and that it is now represented on the street we call home. Here are some shots of the new brand image at the office. Pet lovers know that it is at the small indie pet shops that you get professional personal care for the pets in your home. The businesses are usually run by pet lovers, people you get to know over time because of a shared passion for pets. These local pet shops, neighbourhood pet shops, are important in local communities because of their local knowledge, community connection and their personal and friendly service. Whereas at a big pet shop, a national chain or one of those massive warehouse businesses you are a number, at a local or neighbourhood pet shop you are a person with a name and a name for your pet. The service you receive is authentic. This is the small indie pet shop difference. Tower Systems is proud to support small indie pet shops. We love helping these retailers better serve their customers by helping them to deliver better customer care. In our Pet Shop Software we have a range of facilities that help pet shop owners enhance the customer experience in the shop, online and from home. Our software absolutely helps indie small pet shops compete with big competitors. We empower them with valuable business data, remind them of customer dates and pet dates, we help them move their business online and, most important, we help them run more successful businesses. Once you know what is important to your customers you are able to better serve these needs. Our software helps reveal what is important to your customers and thereby guide better business outcomes for the pet shop business. On the shop floor, too, using our software enables you to demonstrate a competitive strength with best-practice loyalty program options, multi-buy options, repeat business loyalty rewards and supplier connected reporting and marketing. These tools are part of the package that helps indie pet retailers be more confidence and from this confidence flows commercial success. Bet of all about indie pet shops for Tower Systems is the help they provide us in developing better pet shop software, more useful software for our customers and this is key to us expanding our business, attracting more indie and small pet shops as customers. Several retailers at the Melbourne Gift Fair last week told us they will switch POS software to us because of the automatic updates in their current POS software. Tower Systems does not do automatic POS software u0dates. We prefer our customers to decide which updates they want and to install them at a time of their choosing. You turn the computer on and a downloading message comes up. You have to wait for this to be done before you can use it. When I turn the computer on I want to use it right away. There is no advice what is in the update. You have to hope you pick up changes as you go. They mustn’t test the software because almost every time there is an update something goes wrong. It has been so bad I don’t trust the software any more. That’s why I am switching. I call them but usually have to wait a day or two for them to call me back. One update last year cost be a couple of hundred dollars because of mistakes they made. 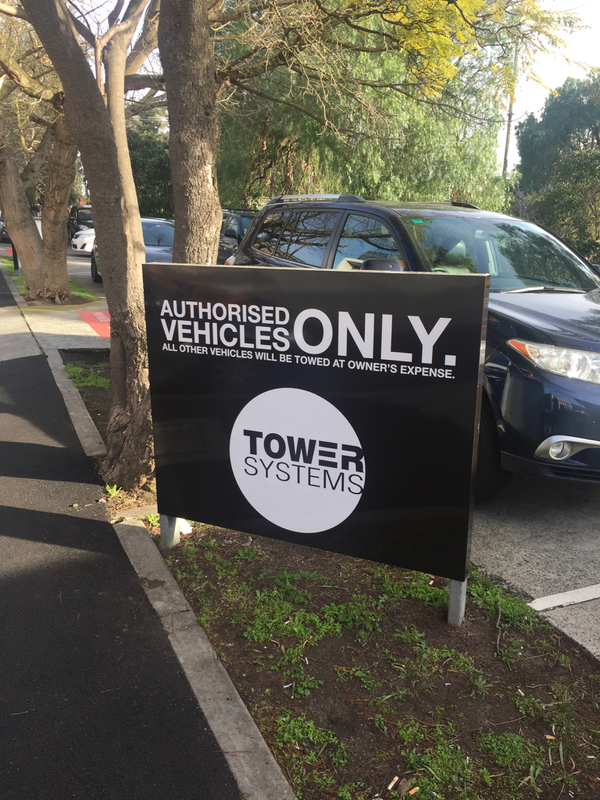 Here at Tower Systems or software goes through a comprehensive multi-layered quality assurance process prior to us installing it in our shops. If it works fine there it goes to our opt-in beta sites. If it goes well with them it is slowly released for optional download by our customers at a time of their choosing. POS software is critical to the successful operation of any business that uses it. This is why the business ownwr or manager has to have control about what updates are loaded and when. Otherwise, they do not have the control of their business they need. Don’t compete. By not talking about the competitor, pricing against them or pitching your business in any way, you separate yourself. While they may have similar products, it is unlikely that they are targeting your specific business so why target them? Focus instead on your own business. Not competing should include not advertising price comparisons, not focusing on the competitor at staff meetings, not expanding your range to sell more of what they sell and not obsessing about them. We were working with an independent retailer recently who decided to offer a product they sold which is also available in a nearby national retailer for 10% less than the sale price in the national retailer. This move gave the independent retailer a margin of 15%. In discussion I discovered that most of the customers who visited the independent retailer were unlikely to shop in the national retailer. So why compete on price? If you know why customers shop with you, you have the opportunity of not giving up margin out of fear. Run a better business. From the moment you hear about a new national retailer coming to town, look at every aspect of your business for opportunities for improvement. From the back room to the font counter fine tune your processes, employee training, stock buying and the look of the business. Dramatically improve your business from the inside out. This will improve your business health and help you weather challenges which may lie ahead. Too often, independent retailers wait until the national retailer is open to react. This is probably a year or two too late. Engage the community. Connect with the community at every possible opportunity. Support local groups, speak at functions, get known as someone and a business who care deeply about the local community. Subtly make the connection that you are fortunate to be able to help because of your local business. Being smaller and independent you are better able to personally engage with the community. You and your team are the business whereas a national chain will always be the corporate. They can throw money around locally, you can throw time, knowledge and more flexible assistance. Tell your stories. Your retail narrative, your stories, connect you with the local community. Tell these through the people you contact, your own blog, a Facebook page and in the pages of the local newspaper. Tell human stories about your business, the people who work in it and the local stories which connect with it. Your stories could be about local community connection, convenience of shopping, commitment to range, personal customer service, product niche knowledge … there are many different narratives with which an independent retailer can connect. It is important that one you have your narrative you stick to is, that it inhabits your decisions, marketing and public presentation. Today, Saturday August 13, 2016, some of our senior management have been in retail, working in retail, engaged in retail customer contact and retailer contact – soaking up the real-world experiences that further inform decisions we make about our POS software. In addition to owning and operating our own retail businesses, we get out in the field, on the shop floor and behind the counter learning from active engagement in retail to help us create even more useful retail management software.